A 15-minute trailer bundled with the edition of ordinal Baki-Dou manga volume. 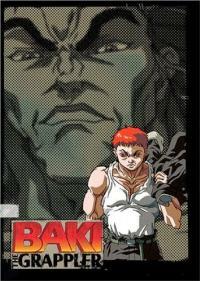 Despite being bundled with Baki-Dou, it'll adapt a part of the the "Most Evil ward Convicts" arc from Baki: New Grappler Baki. The arc options underground ring fighters within the no-rules combat setting of ward convicts.